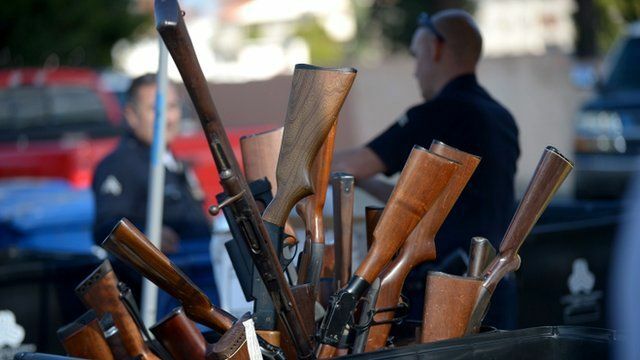 Swapping guns for groceries Jump to media player Gun owners in Los Angeles are being asked to exchange their firearms for gift cards to buy groceries. 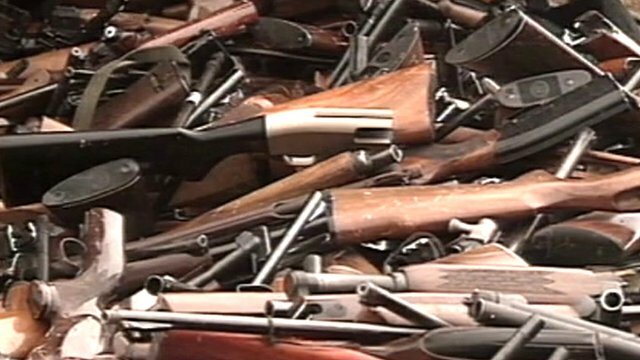 How Australia tackled gun crime Jump to media player Australia introduced tough restrictions on weapons following the killing of 35 people in 1996 by gunman Martin Bryant. Gun owners in Los Angeles are being asked to exchange their firearms for gift cards to buy groceries. This 'buyback' program is an annual event usually held in May, but was brought forward to December following the shootings in Connecticut.